An old photo of the blacksmiths or the coopers at the Oil Works, 1890s. This photo was found in my Gt Aunt Agnes house after she died. It's not in very good condition, and my mother thought is was the Blacksmiths' shop, though I'm more inclined to think it was the Coopers, going by some of the detail in the photo. 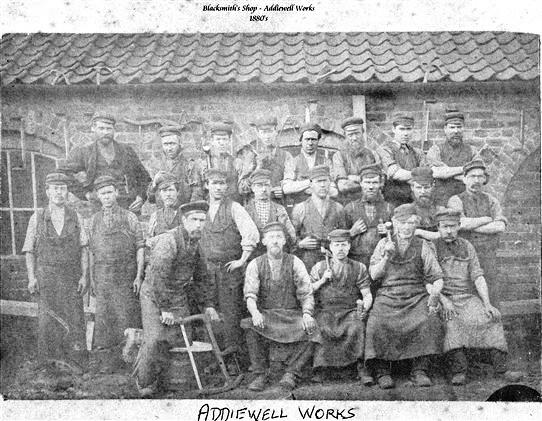 Addiewell Oil Works blacksmiths or coopers, c.1890s.